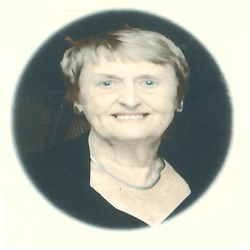 We were very sorry to hear the sad news that Jean Ashton, a lovely lady, has passed away after a short illness. Jean registered with Intro for “temp” work following a successful business career with some apprehension as she felt her mature years were prohibiting her from finding suitable employment. However, the opposite proved to be the case. Jean worked for many years as an Intro “temp” in several departments of the NHS throughout the Borough, fitting in quickly and efficiently with new colleagues, technology and systems. She received glowing praise following each assignment due to her no-nonsense work ethic which was respected by all who met her. Reluctantly at the age of 73 due to internal policies within the NHS she transferred from Intro to direct employment. Following Jean’s retirement from the NHS she continued to work on a voluntary basis on the Help Desk at Wigan Infirmary until the last couple of months - aged 84. Our thoughts and prayers are with her family and friends at this sad time.